Summer is starting off swimmingly for Frank, Joe, and Chet as they land jobs at the Konowa Lake Inn, a scenic resort in the mountains of North Carolina. But sure enough, trouble finds its way to the inn—and Joe and Frank are determined to find out why. A series of mysterious break-ins points to a local recluse and his two fierce-looking dogs. 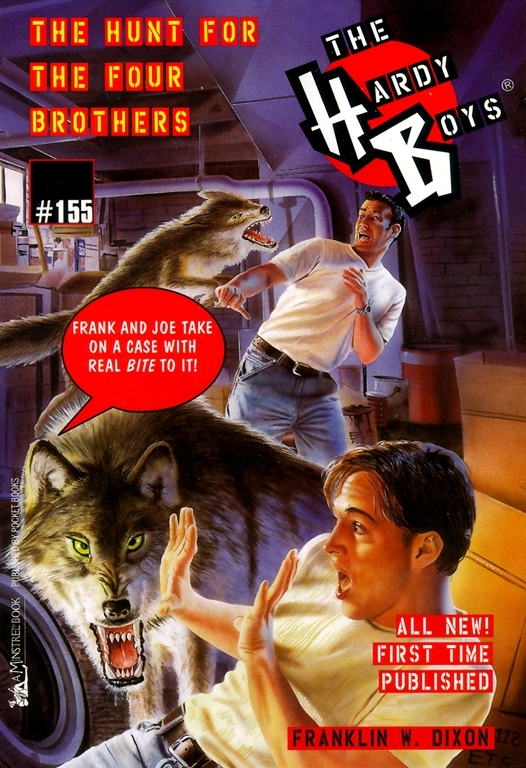 But as Frank and Joe investigate, it seems that almost everyone at the resort has something to hide. The more the boys dig for answers, they more they realize that this case isn’t as simple as it seems. The strange incidents are somehow connected to the four brothers, a unique group of giant gemstones recently stolen from a museum. Joe and Frank have to survive vicious dog attacks, an angry nest of white-faced hornets, and drowning attempts in Konowa Lake before they can solve this multimillion-dollar case.